The Beaufort Arsenal was constructed in 1798 from brick and tabby. 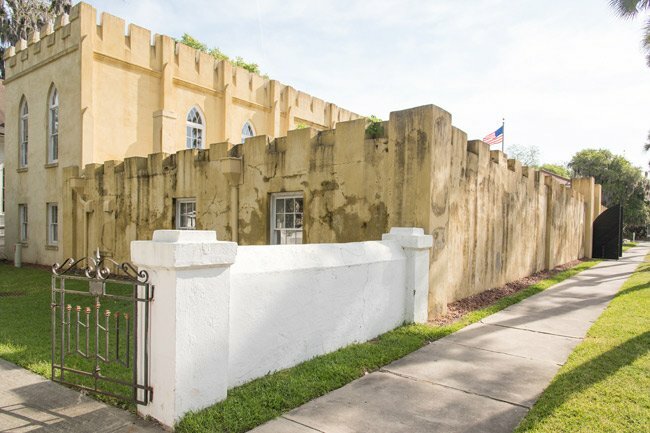 It was home to the Beaufort Volunteer Artillery, whose valiant history traces back to the Revolutionary War. 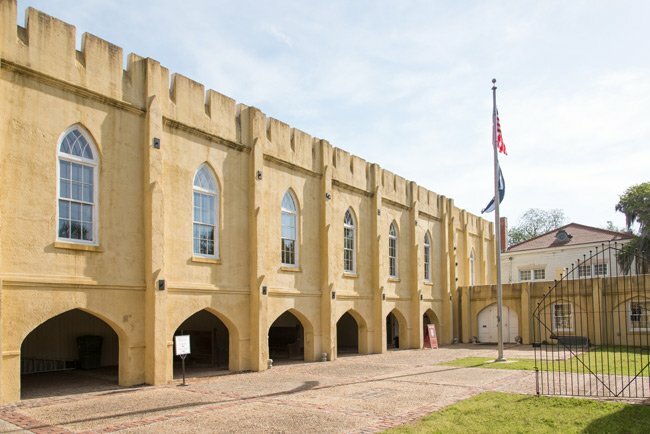 The arsenal is now one of several Beaufort museums. It displays war and industrial artifacts, including two historic brass trophy guns. The Beaufort Volunteer Artillery was a militia of prominent citizens who came together to protect Beaufort and its ports during times of war. 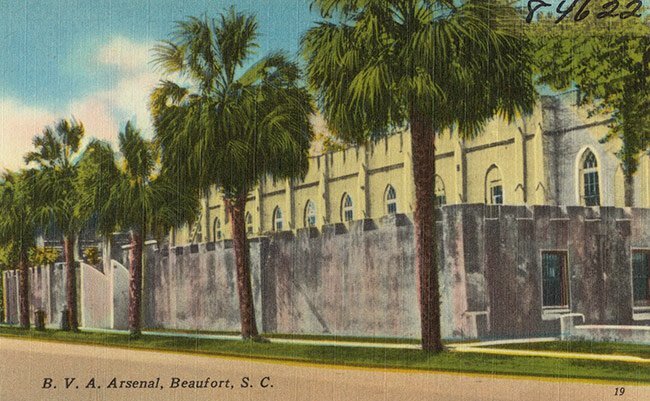 The Beaufort Arsenal was built to serve as their headquarters and to store weapons. According to Major Scott Bell, a historian for the SC National Guard, the men were not officially recognized as the Beaufort Volunteer Artillery until 1776 – even though they had organized many decades earlier to fight off attacks from Indian tribes, Spaniards, and even pirates. During the Revolutionary War, the Beaufort Volunteer Artillery fought in battles up and down the coast. It was considered one of South Carolina‘s best-outfitted and best-manned militias, and it helped drive the British off Port Royal Island in 1779. The Beaufort Volunteer Artillery fought for the Confederate Army during the Civil War, participating in the battles of Pocotaligo, Honey Hill, and Coosawatchie. The artillery was eventually disbanded in the late 1870s and became part of South Carolina’s naval militia. 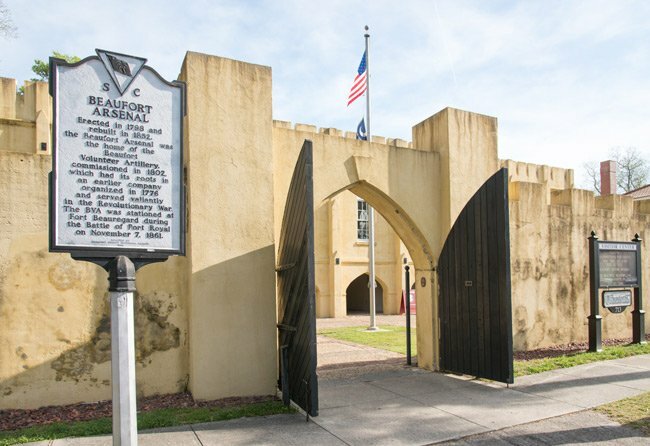 Beaufort is significant for its role as a major center of South Carolina’s antebellum plantation culture, its contribution to the history of the Civil War, and for its role it played in African-American history both during and after the war. Architecturally, the district is significant both for the high-style architecture produced by its pre-war planters and for the folk architectural patterns of its post-war African-American community. The antebellum architecture, unlike that of Charleston and Savannah, is generally made up of free standing Federal, Early Classical Revival, and Greek Revival style houses on large lots that is more akin to the architecture of the Southern plantations of the period, plantations brought to town and adapted to the heat of the summer weather and dampness of lowlands, as well as to the aesthetics of their waterfront settings. The town’s present appearance owes much to the events of the period between ca.1860 and ca. 1935. The buildings and structures constructed during this period display a variety of architectural forms and styles, including Italianate, Gothic Revival, Victorian, Queen Anne, and Neo-Classical, and reflect the development of the town in the last half of the nineteenth century and early twentieth century. In the 1870s, more modest houses were built on vacant lots in the older parts of town. One type was a five bay I-house, similar in form to many of the antebellum mansions, but reduced in size and of balloon construction using sawn lumber. The second type was a three-bay, gable fronted house, often with Italianate or Eastlake detail. Many antebellum homes were also updated during this period with commercially milled porch details, bay windows, and larger window glass. Colonial Revival made an impact on residential building after the hurricane of 1893, and the bungalow dominated new construction before and after World War I. Commercial construction also reflected increasing prosperity. The historic district includes 475 contributing resources and 350 noncontributing resources. Hi, Beverly! There is a link to the arsenal museum above the map. Hopefully, that will lead you to the answer to your question. Enjoy! Will you be open the day after Thanksgiving? If so, what hours will you be open?